On a grey day earlier this week, I took some photographs of a recently completed steel string guitar just before handing it over to its new owner. 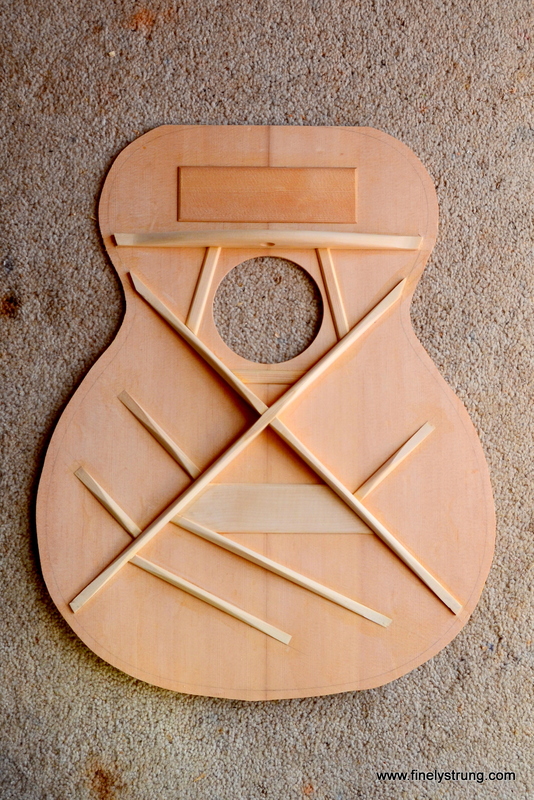 It’s based on a Martin OO model using plans drawn by the French guitar maker, Christophe Grellier. 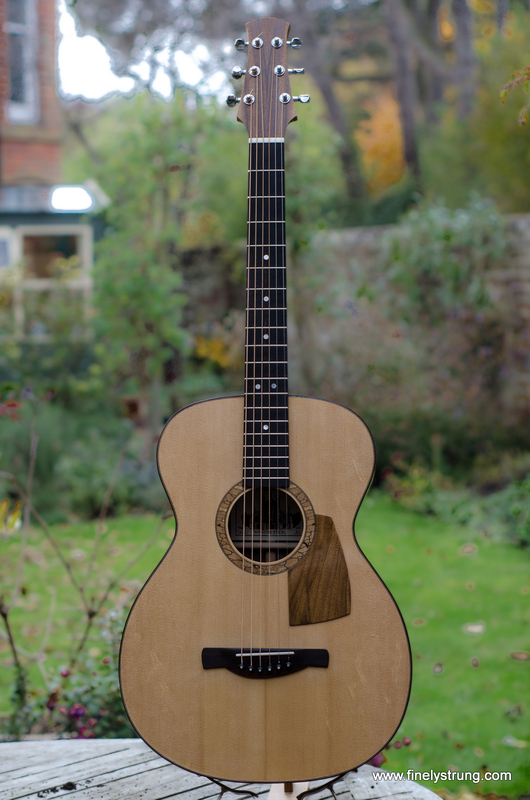 I’d made a cutaway version of this guitar a couple of years ago (photographs here) but, this time, I modified the design to have the neck meet the body at the 12th rather than the 14th fret. This means moving the bridge about 30mm down the soundboard and narrowing the angle between the two arms of the X brace slightly. 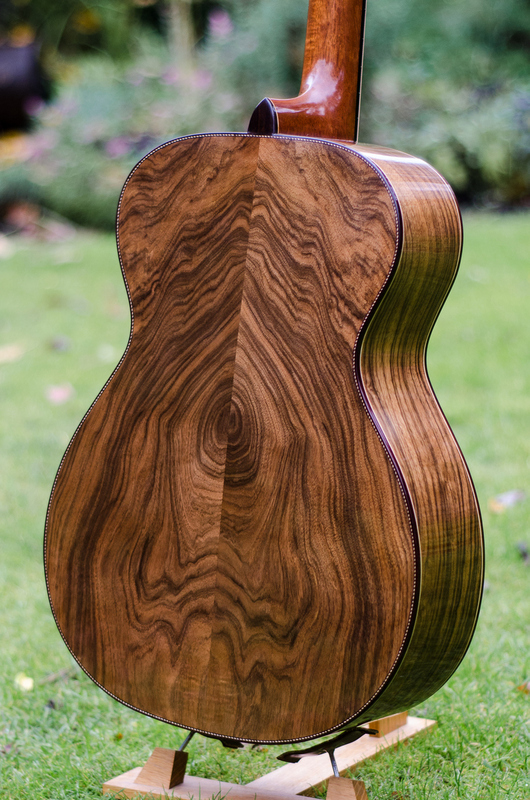 The back and ribs of the guitar are made of English walnut and it has a Sitka spruce soundboard. The bindings, bridge and heel-cap are Rio rosewood and the rosette is spalted beech.